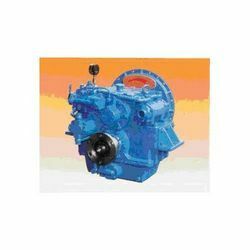 We bring forth an impregnable range of Mechanical Equipment. 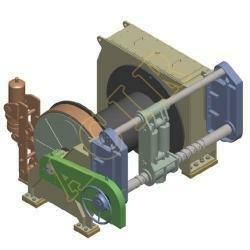 This equipment is dimensionally accurate and is highly appreciated in the industry for their reliability and efficiency. 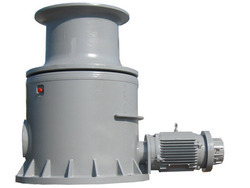 This 800KN marine hydraulic positioning winch is used for offshore wind installation, consists of one drum with rope groove, gears, brakes, clutches, foundation, hydraulic motor, and so on. 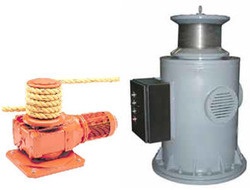 These positioning winches are certified by CCS surveyor, and have good performance. Driven Mode: Hydraulic motor operated. Type: Single drum with rope groove. Rated Speed: 10m/min at first layer. An air receiver, also called air bottle is a large container acting as a reservoir to store compressed air supplied by the air compressed system of the ship. 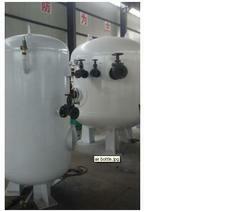 The storage compressed air is used to start and control main engine or auxiliary engine. Aluminum accommodation ladder is suitable for all kinds of ships for embarkation. There are two types: Type A Integral Aluminum Gangway Ladder, Type B Detachable Aluminum Accommodation Ladder. We made the aluminum accommodation ladder according to CB3116-1982. Type A accommodation ladder length range: 8000-15000mm. 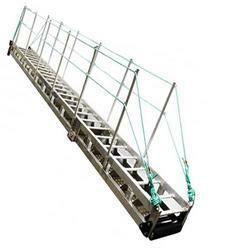 Type B accommodation ladder length range: 4000- 7500mm. 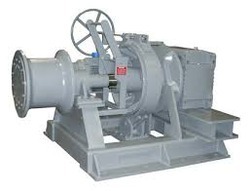 Our company is highly acclaimed in offering a wide range of Complete Deck Machinery. 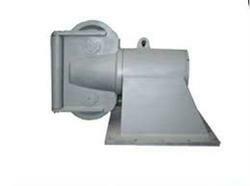 We offer this deck machinery in standard and customized solutions to meet the specific requirements of our clients. Our deck machines are durable, sturdy and are dimensionally accurate. This Complete Deck Machinery is available with advanced attributes that makes it one of the most sought after products in the industry. 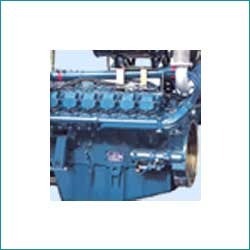 We are engaged in offering the most preferred range of Marine Engines. These engines are offered in diverse ranges from 160 BHP to 7000 BHP along with Gearbox and Stern Tube arrangements including Shaft and Propeller, also CPP. Our Marine Engines are offered in different technical specifications that meets all the requirements of the marine industry. 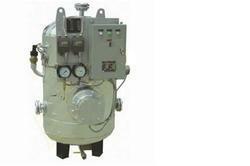 We bring forth an impregnable range of Marine Gear Boxes. This Marine Gearbox is extensively used in Marine Power Transmission to very small boat to long vessels. 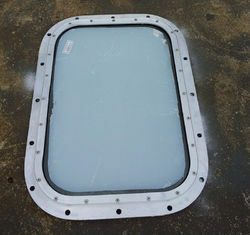 Marine side scuttle/portholes are used for sea-going ships and warships, also could be used for inland ships. Our marine side scuttles/portholes are meets the requirements of IMO, SOLAS. 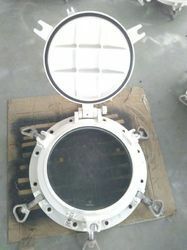 Marine side scuttle/portholes are divided into 3 types: A heavy type, B medium type, C light type. A Heavy Type: With watertight and gas-tight requirements above full load waterline, below free board. B Medium Type: Above free-board, first deck for cargo vessels. C Light Type: Above free-board for passenger vessels. Installation Method: Bolted or welded. Opening Type: Opened or fixed. Clear size of marine side scuttle/Portholes: 200mm, 250mm, 300mm, 350mm, 400mm, 450mm. Available certificate: CCS, BV, ABS, LR, DNV, etc. Marine rectangular window is used for the windows of superstructure above free-board deck and deck house. It meets ISO3930-1993. From opening method, marine rectangular window has two types: one is open type, the other is fixed type. And from the installation method, marine rectangular window can be divided into two type: bolted type and welded type. Marine manhole cover is suitable for ship watertight and oil tight manhole cover, comply with ISO5894. We designed the marine manhole cover according to GB/T5746, CB/T19-2001 AND ISO3903. 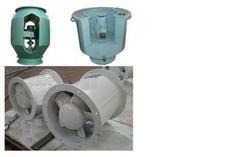 Marine hot water calorifiers for ship and offshore use. Our calorifiers come ready-connected with control cabinet, heating elements and thermostats. Alternative heating sources and circulation or pressure boosting pumps can also be provided. 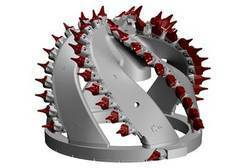 5.The superiority of the rock cutter head is the result of unmatched design and metallurgical capabilities. 6.Refined tooth and cutting edge design. 7.Easy to maintenance, with minimum maintenance cost. 8.Exceptional wear resistance, high quality. 9.The cutter head can be supplied with shaft, bearing and gearbox. 10.The cutter head has low spill. 2. Suction pipe diameter from 400 to 1300mm. 4. Replaceable wear blocks and side skirts. 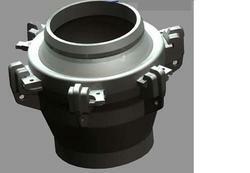 4.Sizes for pipe inner diameter from 400mm to 1200mm. 5.Made for low, medium and high pressure. 6.Ball turning angle 15 degree and 18 degrees. 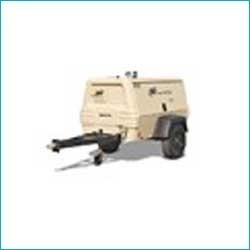 For meeting the variegated requirements of our customers in an efficient manner, we are engaged in offering a wide array of Air Compressors. 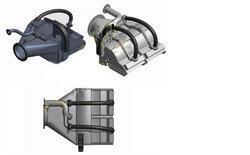 Designed using premium quality raw material, these compressors are vibration, simple in operation, easy to maintain. 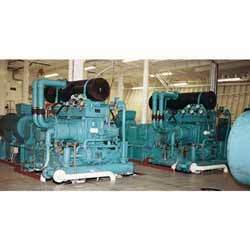 Moreover, the compressors offered by us are suitable for heavy duty and continuous operation. These compressors have low and high pressure cylinders, which have an inter cooler in between them. 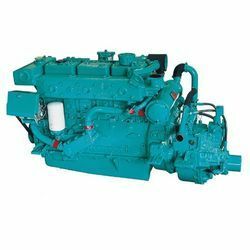 Our organization is engaged in offering a precision engineered range of Generator Diesel Engines for our customers at market leading rates. The engines offered by us are manufactured under the guidance of our expert professionals, who manufacture the entire range in compliance with the set industry standards and norms. The engines offered by us are known for their optimum performance, longer functional life, strong construction and easy maintenance. 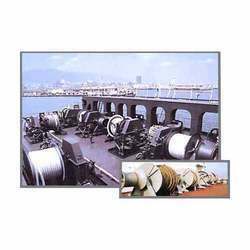 Swivel anchor fairlead, installed on the deck of ships, is one kind of fairlead device which is used for ship mooring. In the central body of the fairlead there is opening for mooring ropes or anchor chains. 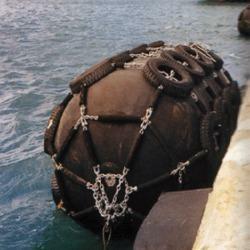 Rope Diameter Range: 20mm to 76mm. 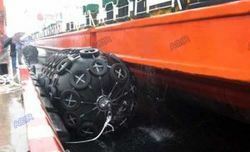 Sheave: Single or double sheave. Available Certificate: CCS, ABS, BV, LR, RINA. 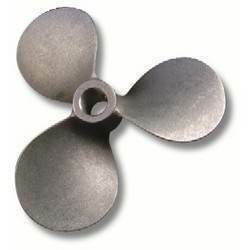 Our clients are very satisfied with the optimum quality range of Marine Propellers, which offer solutions to the requirements of clients in the automobile industries for enhancing the engine efficiency. These products are manufactured using high class stainless steel as well as other alloys. The products offered by us are durable, efficient, and resistant to corrosion. Offered at most affordable prices our range offers great value for money. 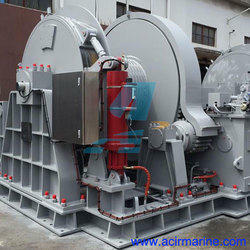 we offers towing winches for all types of tug boats. Winches can be driven hydraulically and electronically.The technical solution is with enclosed gears, submerged in lubricating oil. All kinds of control and information are possible: local control, pendant control with cable, radio control or bridge control panel with joystick including required functions and automation.Very robust design allows operation in all conditions. Standard design is with chain lifters and warping heads. Yokohama type fender also called chain and tyres net pneumatic fender. It is often installed on the terminal or ship, which aims to absorb or reduce the collision energy between ship to ship and ship to dock. 5. Application areas Oil and gas tankers, Fast ferries and aluminum vessels, docks ocean platforms etc. 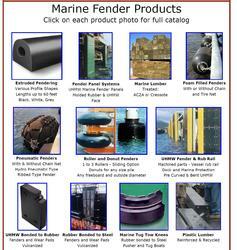 Looking for Marine Mechanical Equipment ?